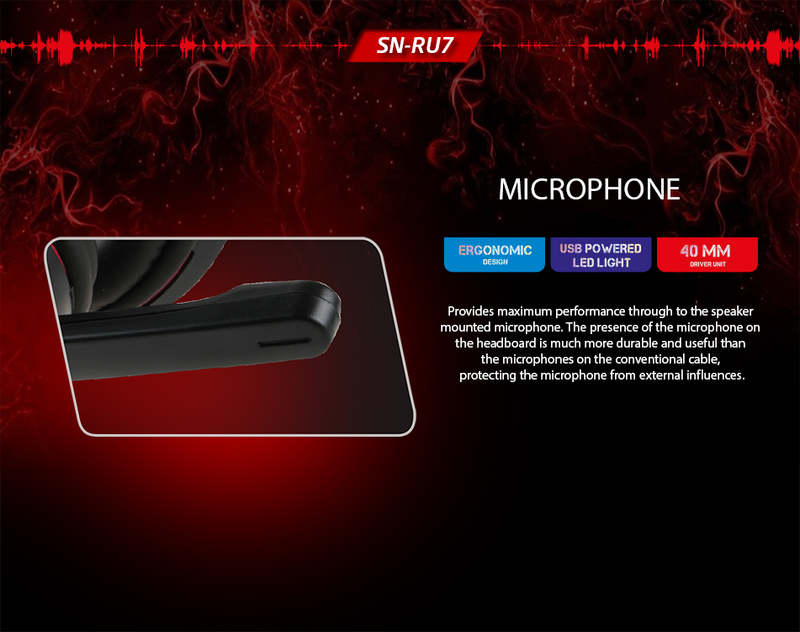 Snopy Rampage SN-RU7 USB Led Gaming Black Headset ; Its ergonomic design keeps your ears comfortable for long periods of use and allows you to seamlessly chat with the internet with high quality microphone.It is outside sound-proof with sensitive structure. The cable is 2M longer than other headphones and allows you to move freely. 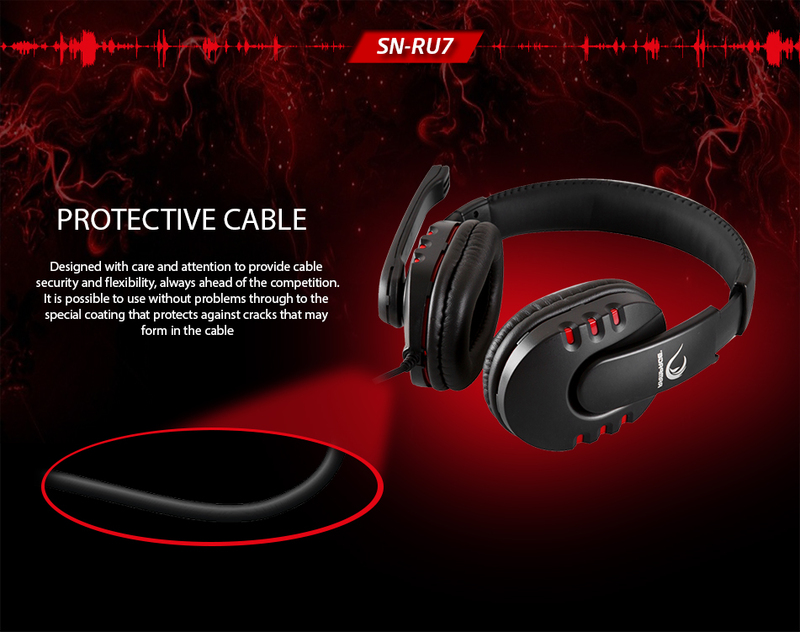 Snopy Rampage SN-RU7 USB Led Gaming Black Headset ; Through to the quality material Snopy RAMPAGE SN-RU7 has a durable construction. It offers great advantages especially where there are multiple uses. Aesthetics and flexibility will give you great advantages. 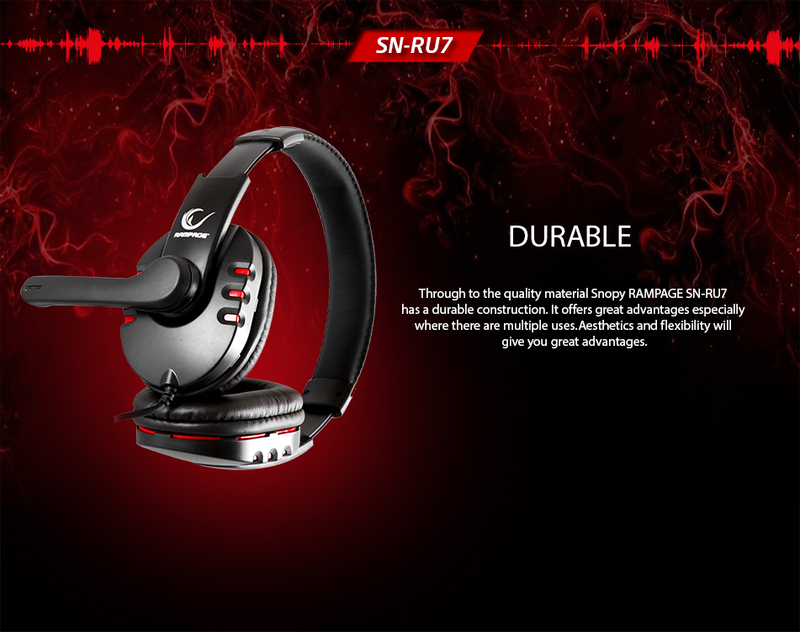 Snopy Rampage SN-RU7 USB Led Gaming Black Headset ; Provides maximum performance through to the speaker mounted microphone. The presence of the microphone on the headboard is much more durable and useful than the microphones on the conventional cable, protecting the microphone from external influences. 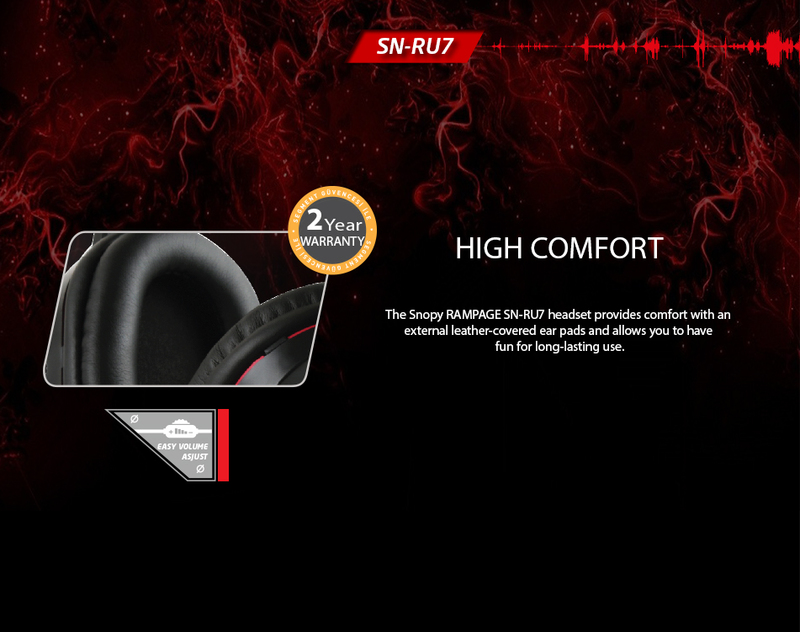 Snopy Rampage SN-RU7 USB Led Gaming Black Headset ; Ergonomic design and excellent features are candidates for being indispensable. 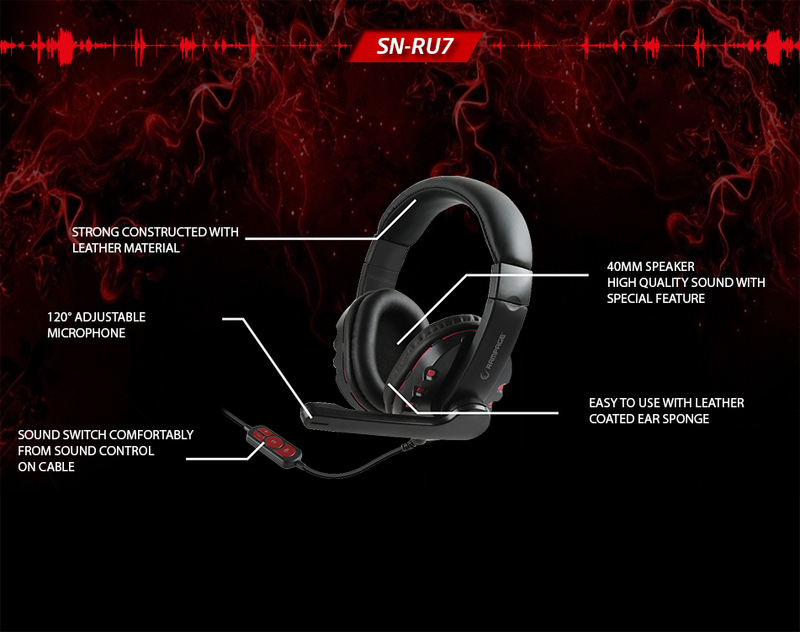 You can easily turn it on and off with the SN-RU7's audio key located on the cable. 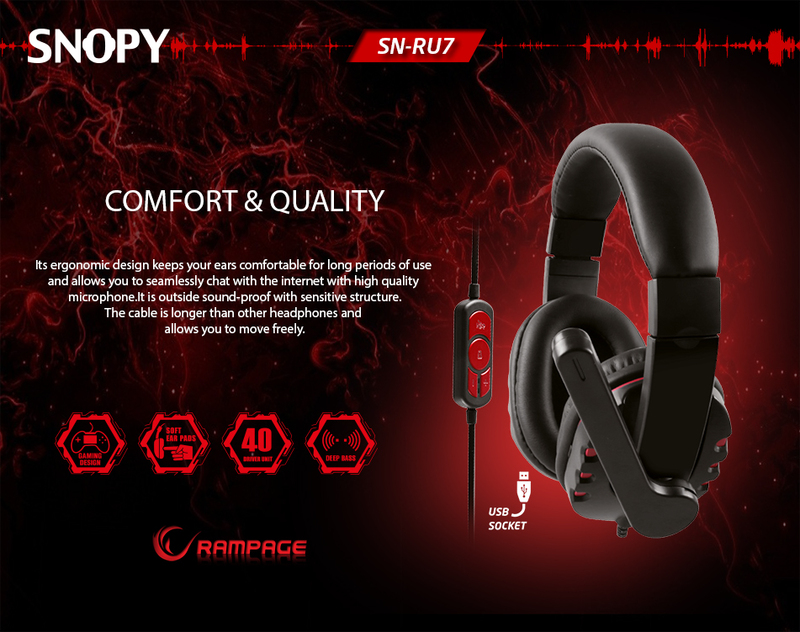 Snopy Rampage SN-RU7 USB Led Gaming Black Headset ; The Snopy RAMPAGE SN-RU7 headset provides comfort with an external leather-covered ear pads and allows you to have fun for long-lasting use..